Living in Ecuador is one way to beat inflation. Ecuadorians now how to live well on less. They even farm steep land like this. See two other ways to beat inflation below. Beating inflation is absolutely vital now… especially for those about to retire… because Social Security is fading. Lalla was a 14th century poetess who lived in Kashmir. She described herself as a somewhat… something… moving dreamlike… on a fading road. This is a perfect description for Social Security now… somewhat… something… moving dreamlike… on a fading road. 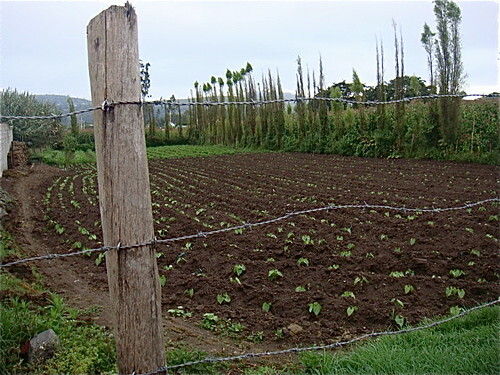 Almost every plot of spare Ecuador land is rich and growing food. Excerpts from a recent AOL.Money article by Jim Kuhnhenn entitled “White House Projects $9 Trillion Deficit”: In a chilling forecast, the White House is predicting a 10-year federal deficit of $9 trillion — more than the sum of all previous deficits since America’s founding. And it says by the next decade’s end the national debt will equal three-quarters of the entire U.S. economy. But before President Barack Obama can do much about it, he’ll have to weather recession aftershocks including unemployment that his advisers said Tuesday is still heading for 10 percent. Overall, White House and congressional budget analysts said in a brace of new estimates that the economy will shrink by 2.5 to 2.8 percent this year even as it begins to climb out of the recession. Those estimates reflect this year’s deeper-than-expected economic plunge. The grim deficit news presents Obama with both immediate and longer-term challenges. The still fragile economy cannot afford deficit-fighting cures such as spending cuts or tax increases. But nervous holders of U.S. debt, particularly foreign bondholders, could demand interest rate increases that would quickly be felt in the pocketbooks of American consumers. The amount of this debt just an astounding and will almost certainly lead to inflation and a falling US dollar. 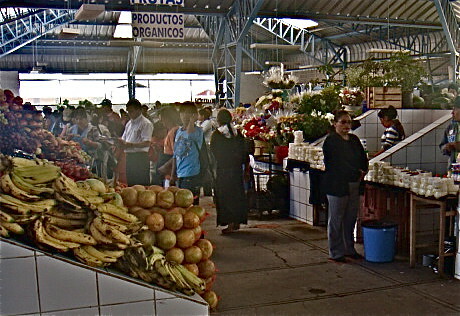 the local markets, like this one in Cotacachi have low cost organic “Productos Organicos.” This makes it easier and less expensive to eat well in Ecuador. The article above about the deficit is bad enough news but a recent USA Today article Social Security checks set to shrink in 2010 that shows how for those who are retiring, matters are getting even worse. Here is an excerpt: Millions of older people face shrinking Social Security checks next year, the first time in a generation that payments would not rise. The trustees who oversee Social Security are projecting there won’t be a cost-of-living adjustment (COLA) for the next two years. That hasn’t happened since automatic increases were adopted in 1975. By law, Social Security benefits cannot go down. Nevertheless, monthly payments would drop for millions of people in the Medicare prescription-drug program because the premiums, which often are deducted from Social Security payments, are scheduled to go up slightly. Cost-of-living adjustments are pegged to inflation, which has been negative this year, largely because energy prices are below 2008 levels. Even the Cathedral next to our hotel grows organic corn in the church yard. There are numerous ways to beat this inflation crunch. 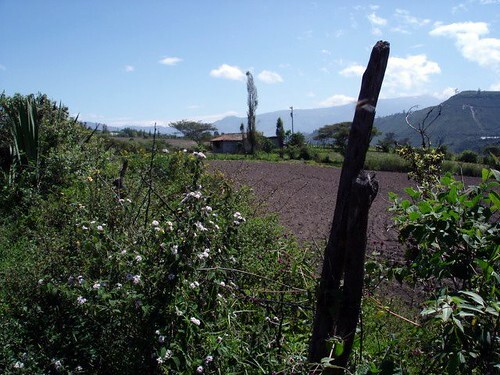 Inflation beater #1: Move to a low cost of living location like Ecuador. Inflation will hit Ecuador as well… but the starting baseline is lower. 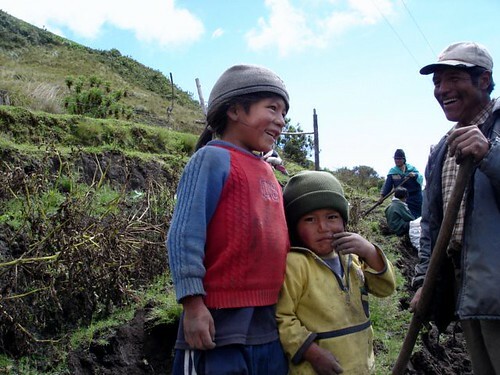 In addition people in Ecuador know how to live well… on less. Inflation beater #2: Own real estate or other commodities. The price of property and commodities, properly purchased will rise with inflation. Property in Smalltown USA especially offers value now. Inflation beater #3: Have your own business. This is the greatest inflation beating asset of all, the ability to earn wherever you live. 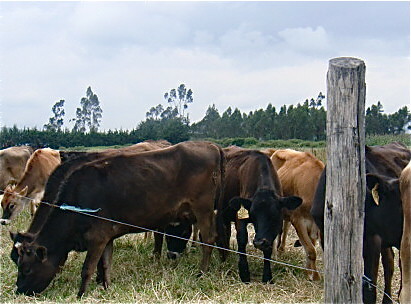 these organic cows. Plus raw milk can be purchased directly… and at a low cost from the dairy keeping the cost of good living down. 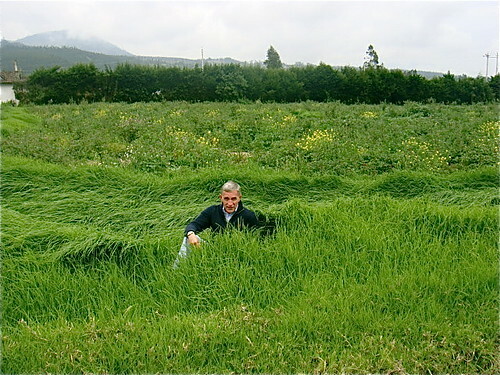 Here are comments from one seminar delegate about the way we help: I really enjoy your Ecuador e-mail every day, especially because of the eclectic nature of the subjects. 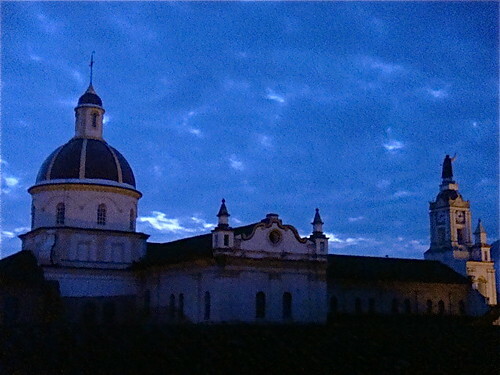 The recent postings on Loja were great, as my wife and I visited Loja for two nights and a day when were were in Ecuador last March. It is a beautiful town, and we met some very nice people there. At our hotel the staff makes our own butter, marmalade and ice cream. Plus they love serving in beautiful ways. 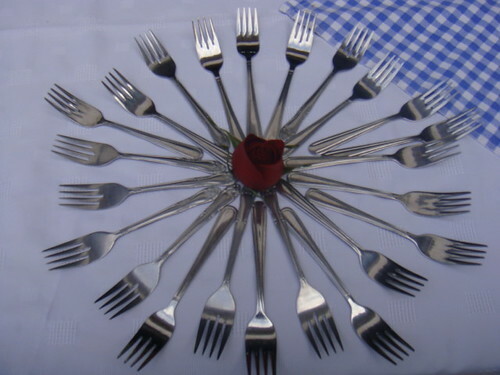 Here is how they set out the cutlery! How can anyone not be charmed by such care.